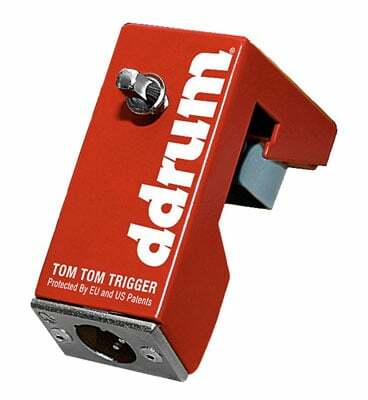 Order your Ddrum Acoustic Pro Tom Tom Drum Trigger from AMS and enjoy Fast & Free Shipping. Get the Best Deal with our Lowest Price Guarantee & Great Customer Service! With their superb tracking ability, Ddrum Triggers set a standard for triggering microphones. The Ddrum Acoustic Pro Tom Tom Drum Trigger requres no adhesives, the Ddrum triggers clamp onto the sides of standard drumhoops while the specially designed transducer is softly pressed against the drumhead. The advantages are obvious: You can change drum heads over and over without damaging the transducer. The metal casing protects the trigger from accidental drumhits. The ultra-light pressure of the transducer against the head prevents any damping effect. The XLR output ensures a reliable connection. In the studio, for example, hook up your drum triggers to existing acoustic drums and connect them to your sound module. You can combine great drum sounds with MIDI information almost instantly. On the road, custom-tailor your acoustic sound with the digital studio sounds in your Ddrum sound module. Whether in studio sessions or on the road, the Ddrum Triggers are the perfect choice for the demanding drummer. Drum sensors consisting of piezo elements applied to the head of an acoustic drum have not been perceived as giving a "natural response". After analyzing the wave form patterns from acoustic drums, Ddrum has created a patented transducer solution using vectored amplitude measurements (VAM) . Other problems include double triggering (you strike the drum once and you hear additional unwanted strikes) and crosstalk (you strike Tom 1 and Tom 2 plays too). Two other common problems with conventional triggers are: durability (when you hit them accidentally they can break) and unreliable mounting methods. Triggers mounted using adhesives can accidentally separate from the drumhead. 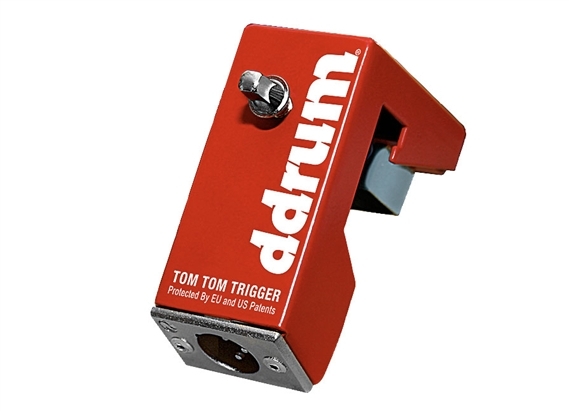 The Ddrum Triggers come in three different models and fit standard drum rim/hoops: Tom Tom, Kickdrum and a special ddrum Trigger for the Snare, with a separate sensor for the Rim. Note: The snare trigger can also be used on tom toms. 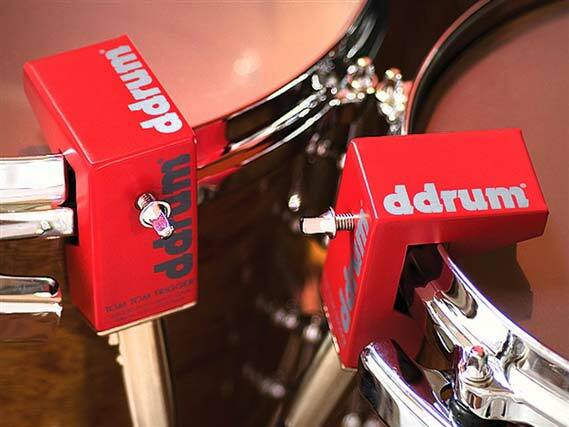 Try out the Ddrum Triggers - They are perfect for the demanding musician. They are rugged, roadworthy and very easily removable. When using Ddrum Triggers with a Ddrum sound module it sounds like you're playing a perfectly miked drumkit.